Shahryar, a recent PhD graduate and father of nine-year-old Anna, must leave the US when his visa expires. In their last remaining weeks together, we learn Shahryar’s history, in a vil­lage on the Bay of Bengal, where a poor fisherman and his wife are preparing to face a storm of historic proportions. That story intersects with those of a Japanese pilot, a British doctor stationed in Burma during World War II, and a privileged couple in Calcutta who leaves everything behind to move to East Pakistan following the Partition of India. Inspired by the 1970 Bhola cyclone, in which half a million-people perished overnight, the structure of this riveting novel mimics the storm itself. Building to a series of revelatory and moving climaxes, it shows the many ways in which families love, betray, honor, and sacrifice for one another. 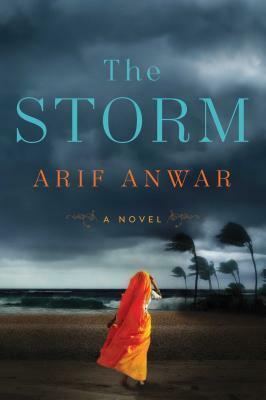 At once grounded in history and fantastically imaginative, The Storm explores the human­ity that connects us beyond the surface differences of race, religion, and nationality. It is an epic novel in the tradition of Khaled Hosseini’s The Kite Runner and Rohinton Mistry’s A Fine Balance, by a singularly gifted and perceptive new writer.